This topic contains 0 replies, has 1 voice, and was last updated by AX005 1 year, 6 months ago. 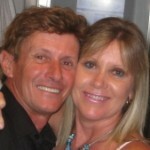 Dear friend, I am writing this short letter, to invite you to be part of my next 11m DX project. In the month of November I will be in the country of Colombia and I want to repeat the multi group radio experience. 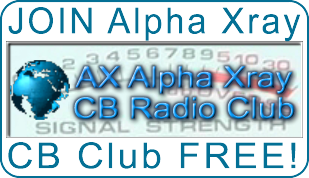 The method is very simple, it is activated with the CALL MULTI DX and in this way, each station that is in the LOG, has the right to request QSL from the group that likes most or from all the participating groups, that way with a single contact Several QSLs are secured. This experience has already been put on the air, with great success in several opportunities you can see more information in these websites. Nobody remembers the call call in a short cluster, but if you will always have the QSL of your group. Then upload to facebook or the internet, promoting the radio group forever. So far these groups have already confirmed their presence, for the new edition of Multi Dxpedition in Colombia “6MULTI / DX2” the groups are: MEX, LR, CR, MW, CR, PAS, RC, TS. Do not stay outside, this is your moment !! I need your confirmation as soon as possible to set up the Dxpedition web site and promotion logo. 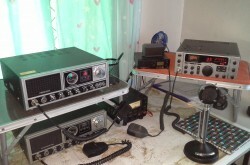 Anyway, this information will be released days before arriving in Colombia, to avoid problems with Ham Radio. That is why it is important to keep it secret until the month of November. Your contribution is voluntary and it is not obligatory to participate or not of the project. The Dxpedition is almost 90% solved (the plane tickets are confirmed and I will depart on November 10 Sao Paulo Brazil to Bogota Colombia). Waiting for your group to join this new MULTI COLOMBIA, demonstrating union and peace with all the groups that make up the family of eleven meters. Being part of an innovative proposal, trying to beat the bad spread. I take this opportunity to greet you and wish you the best for you and your family.